VANCOUVER, BC - On the 17th of February, Showcase Pianos - Western Canada's top dealer of European pianos - was awarded the 'Roland' line of digital pianos. 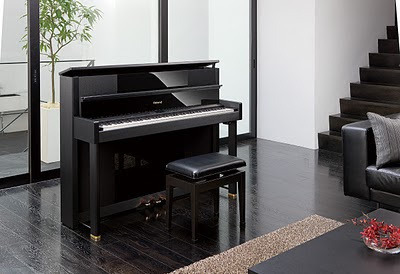 Roland is the world's first producer of digital pianos, is based in Japan, has more than 2,700 employees, and has annual sales in excess of $1 Billion. "We wanted something that would be even more affordable than our current starting price, which was $7,998 for a European upright", says Manuel Bernaschek, owner of Showcase Pianos. "We had tried some pianos that were made in China, but we weren't satisfied with the quality. We also wanted to keep the image of having 'only European' acoustic pianos. We felt the Roland pianos were a perfect match - I have always known that they are the best digital pianos in the world, so in that respect it fits very well with the image of our store."